Inspector-General of Police (IGP) Tan Sri Ismail Omar’s order to all police officers nationwide to arrest gamblers in cybercafes with immediate effect are most welcomed and it shows the vast power police has in curbing illegal gambling. 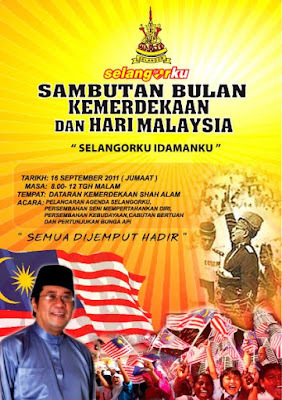 Selangor State Government under Pakatan Rakyat (PR) has been under severe attack by UMNO politicians and its organ Utusan Malaysia since 2008 that illegal gambling and other sin activities are on the increasing trend since PR took over the state government three years ago. Some of them even went ahead to criticise the state government that we are tolerating such illegal and immoral activities when local councils failed to take actions to curb these illegal activities. Selangor State Government has been clarifying on the matter since 2008, that cooperations from other government agencies, especially agencies under the jurisdiction of Federal Government are very much needed to completely root out these illegal activities. These agencies none the less include the Royal Malaysian Police, Immigration Department, Tenaga Nasional Berhad, Syabas etc. Without the cooperations of these agencies, local councils’ enforcement teams are only confined to act within their legal jurisdiction whereby offenders are normally fined with very minimal penalties. Unfortunately, repeat-offenders also can choose to ignore such penalties as the power of the local council are only limited to the scope of business licenses. Nevertheless, local authorities in Selangor have never back tracked from their responsibilities to keep Selangor clean from vice. 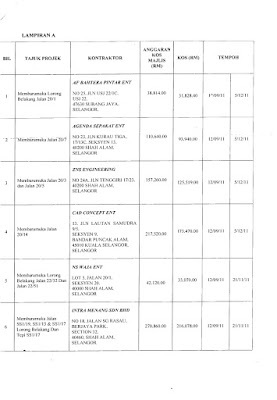 For example, Petaling Jaya City Council or Majlis Bandaraya Petaling Jaya (MBPJ) in a written reply to Petaling Jaya Selatan MP, Hee Loy Sian, which is also copied to all elected representatives in Petaling Jaya, states that the council has conducted a total of 238 raids were conducted on illegal cybercafes, 68 raids on entertainment outlets, 39 raids on snooker centres, 83 raids on budget hotels and 124 raids on SPA centres for the first half of 2011. With the IGP’s announcement that police officers can also arrest gamblers caught on the spot, I believe it will help to reduce such activities in Selangor, which has been selectively targeted by UMNO politicians to portray a negative image that PR is tolerating such activities. The announcement also shows the vast power that the police has in this aspect. Already given the power to confisgate slot machines, arresting the culprits and even terminating electricity supply with the presence of TNB officers, now the police can even arrest the gamblers themselves. It is now clear that the problem is not on the shoulder the local councils alone, but more on the inter-departmental cooperations to put up an effective measure to curb illegal gambling and other immoral activities in Selangor. I hope the police will continue to work with local councils and the relevant authorities in PR state government without any political preferences as they serve not their political masters but the people! Starting from 2011, Selangor government has decided to delegate part of the power to ADUN for them to decide up to RM1million on how to utilise the allocation for the benefit of the people. Complaints were lodged with the authority previously that local council sometimes placed the wrong priority and that the ADUN must be included to determine the priority of projects to be undertaken whenever Marris is concerned. 1. Menurap semula Jalan 21/36, 21/27, 21/35, 21/22, SS 1/26 dan persimpangan antara jalan-jalan ini. 14. Membaikpulih tepi longkang di Jalan SS 3/31. 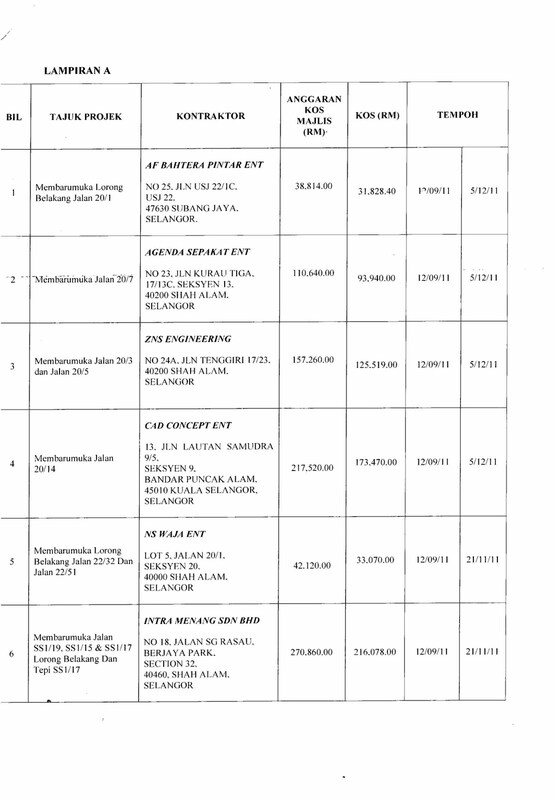 However, due to the RM1million ceiling on each constituency, the council can only consider the final projects to be undertaken which is posted on top. Still I will try to get the council to resurface other roads which are not included this round as soon as possible. As an alumnus of University of Malaya (UM), I am delighted that UM is now one of the top 200 universities in the world. UM is now ranked at 167th place in the London-based QS World University Rankings. While the position is a quantum leap of 40 spots from its position in 2010, there are still a lot to catch up by UM as National University of Singapore (NUS) is always ranked top 50 in any ranking although the two universities started on equal footing at the same time. Research activity is one of the many factors contributing to the improved ranking of UM in 2011. The university needs to provide more resources and allocations to academicians and researchers to publish papers in high impact journals like the Thomson ISI (Institute for Scientific Information) which includes citation databases covering thousands of academic journals, such as the Science Citation Index, the Social Sciences Citation Index and the Arts and Humanities Citation Index. Although it is reported that UM published some 1800 academic papers in 2010, it is still far behind NUS as the prime university from Singapore publishes more than 5,000 academic papers a year. Even from 2006 to 14th February 2011, UM only publishes 9,053 papers whereby Thailand’s Mahidol University and Chulalongkorn University publish 21,035 and 16,928 papers in total. The two universities in Singapore ie NUS and Nanyang Technological University (NTU) publish 116,608 papers and 52,122 papers respectively. Besides, the federal government should allow more freedom to researchers, lecturers, professors and even university students to engage in academic discussion, debates and even researches on sensitive issues. Such openness is imperative to nurture a culture of questionging, to always question the truth by asking the right questions. University is a place to pursue and develop knowledge. The time is high now for Malaysians to discard the mentality that universities are merely places to provide graduates to fill in the blanks in the industry. Instead, teaching qualities of our varsities should couple with strong capacity in developing knowledges for the benefit of mankind. Malaysians, including the business sector should in return support the university’s role in developing knowledges so as to improve the value chain of our industry and economy. One point that Malaysians should not forget is that University of Malaya, like other public unversities in Malaysia, is also tied down by the notorious University and University College Act which highly restricts students’ freedom in expressing opinions and challenging the views of the authority. The first step towards quality higher education is to remove all restrictions on freedom of expression casted on our universities. I am sad that the Ministry of Higher Education, despite all the talks for the past few years, has not even tabled any amendments in the Parliament to amend the Act as they had promised initially. Our stand is that the Act itself has long exceeded it shelf live and ought to be repealed. It is even more worrying that our univerisities could be placing more weightage on securing better ranking, ignoring the fact that there are still all forms of restriction against university students. University students in Malaysia are still regarded very much as secondary school students who cannot think independently even though they are termed “mahasiswa” in Malay which literally means the “great graduate”. Our students must be givern the room and encouragement to explore their capabilities and capacities. Management of our universities should place equal importance on science, arts and social sciences in order to provide a balanced education for our students. This is biggest challenge for our tertiary education especially for University of Malaya, the university that prides itself as the oldest and the most established institution of higher education in Malaysia. Laman sesawang Utusan Malaysia di URL “http://www.utusan.com.my/utusan/info.asp?y=2005&dt=0908&pub=Utusan_Malaysia&sec=Politik&pg=po_02.htm” telah melaporkan percakapan Khairy Jamaluddin pada 8 September 2005 semasa beliau menghadiri Forum Kepimpinan Global 2005 di Pusat Konvensyen Kuala Lumpur bahawa “Kita juga tidak berdebat dengan orang yang semacam itu termasuk menyerang peribadi saya, kita akan terus bawa isu ini sampai bila-bila”. Ini ialah bukti jelas bahawa Khairy Jamaluddin sendiri juga pernah menolak untuk berdebat secara matang isu berkenaan dengan sejarah perjuangan kemerdekaan negara kita. Tawaran ini dibuat oleh Setiausaha Antarabangsa DAP Pusat pada masa itu, iaitu Ronnie Liu Tian Khiew yang merupakan Exco Kerajaan Negeri Selangor pada masa sekarang berikutan kenyataannya yang dikeluarkan pada awal bulan September 2005 bertajuk “The Real Fighters for Merdeka”. Tulisan beliau menyentuh tentang peranan yang dimainkan oleh dua kumpulan pejuang yang berbeza, iaitu golongan elit dan bangsawan yang lebih cenderung untuk berbincang dan bekerjasama dengan British untuk memperjuangkan kemerdekaan negara berbanding dengan satu lagi kumpulan yang menggunakan pendekatan bercorak radikal untuk menentang British secara keseluruhan. Media arus perdana pada masa itu, khususnya Utusan Malaysia mengkritik Ronnie Liu kerana memperkecilkan peranan yang dimainkan oleh Tunku Abdul Rahman dalam memperjuangkan kemerdekaan Malaya pada tahun 1957. Khairy Jamaluddin selaku Naib Ketua Pemuda UMNO turut membidas Ronnie Liu dan DAP kerana “cuba memesong sejarah perjuangan kemerdekaan Malaya”. Kini perkara yang hampir sama berlaku apabila Khairy Jamaluddin selaku Ketua Pemuda UMNO membidas Timbalan Presiden Pas, Mohamad Sabu atau Mat Sabu sebagai “bacul dan penakut kerana tidak berani berdebat dengannya dalam isu sejarah Bukit Kepong” apabila Mat Sabu menyentuh tentang perjuangan kemerdekaan Malaya dan insiden Bukit Kepong dalam satu ceramah. Saya melihat kenyataan Khairy Jamaluddin ini sebagai mengorek dan menggali kubur sendiri kerana beliau telah lupa bahawa beliau juga pernah menolak untuk berdebat dalam isu yang hampir sama pada tahun 2005 walaupun cabaran beliau kepada Mat Sabu untuk berdebat isu Bukit Kepong ini lebih untuk kepentingan politik beliau. Walau apa sekalipun, Rakyat Malaysia berhak untuk mengetahui gambaran yang lengkap tentang sejarah perjuangan Malaya dan Malaysia. Saban hari, rakyat mula mempersoalkan kesahihan fakta sejaran rasmi yang cuba disuapkan ke dalam mulut rakyat selama lebih 50 tahun. Biarpun begitu gambaran ini tidak akan menjadi semakin lengkap dan jelas dengan adanya roadshow-roadshow yang bakal dijalankan oleh Patriot Pemuda UMNO ataupun perdebatan-perdebatan politik yang dicadangkan Khairy Jamaluddin. Isu berkenaan sejarah perjuangan kemerdekaan, termasuk sumbangan oleh pejuang-pejuang bersayap kiri dan radikal harus dibincang dengan rasional oleh ahli-ahli sejarah dan akademik secara ilmiah, objektif dan rasional melalui pembentangan fakta-fakta sejarah dan saya berharap ahli-ahli kaji sejarah dari dalam dan luar negara dapat berusaha untuk memulihkan sejarah lengkap perjuangan kemerdekaan negara kita antara tahun 1945 hingga 1957. (14) Vote Pakatan Rakyat at next general election to save the country from bankruptcy caused by a corrupt administration. The federal government should redirect its focus to produce biodiesel or biofuel using waste oil instead of precious palm oil which is food product by itself. Plantation Industries and Commodities Deputy Minister Hamzah Zainudin said that the fuel is currently sold at six petrol stations in Putrajaya and 107 petrol stations in Malacca. 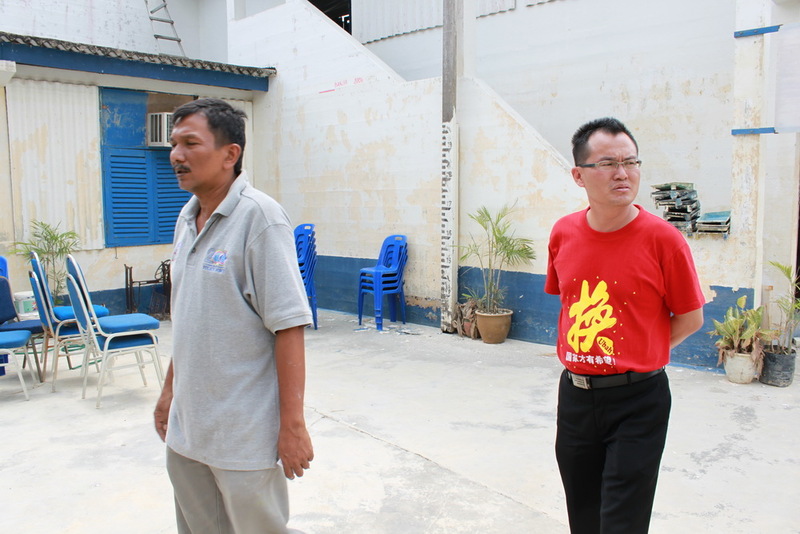 He said that beginning 1 August 2011, 156 petrol stations in Negri Sembilan would sell the B5 palm-oil based biodiesel. As many as 247 petrol stations in Kuala Lumpur will begin selling B5 on Sept 1 and then Selangor will follow suit on Oct 1 with 634 stations offering the fuel to customers. He said that so far, there will be 1,150 petrol stations in the central region retail the B5 biodiesel. While claiming that there is no adverse effect of palm oil-based biodiesel reported to date from the use of palm oil-based B5 biodiesel in diesel engine vehicles, the government should redirect its focus by utilizing waste oil to produce B5 biodiesel instead of using palm oil. The utilization of palm oil or other feedstocks to produce biodiesel has sparked off the “food vs. fuel” dilemma in some countries. According to Wikipedia, “Food vs. fuel” is the dilemma regarding the risk of diverting farmland or crops for biofuels production in detriment of the food supply on a global scale. Although Brazil has been considered to have the world's first sustainable biofuels economy and its government claims Brazil's sugar cane based ethanol industry has not contributed to the 2008 food crisis, Malaysia should not take the dilemma lightly as an unsustainable biofuel policy will definitely dampen the economic burden of Malaysians with higher prices of cooking oils. I urged the government to also study the possible negative impact of mass production of biodiesel or any other types of biofuel which will affect prices of food items. It will be counterproductive if the government were to further subsidise food items if a further price hike for food items happened due to the production of biodiesel from food items like palm oil with the intention of reducing subsidies for fossil fuels. Such treat cannot be taken lightly as Malaysia is currently producing biodiesel from crude palm oil which is also a raw material to produce edible cooking oil in Malaysia. One alternative that we should explore is to utilize waste industrial oil and waste cooking oil to produce second generation biodiesel as these byproducts are readily available in large quantity with lower cost of production. However, more researches are required to study its feasibility. I believe our government will be investing in the right direction if more allocations are channeled for such researches to be carried out. Environmental protection and greener surrounding is not for show only. It is something that we have to work hard in order to bear fruits. 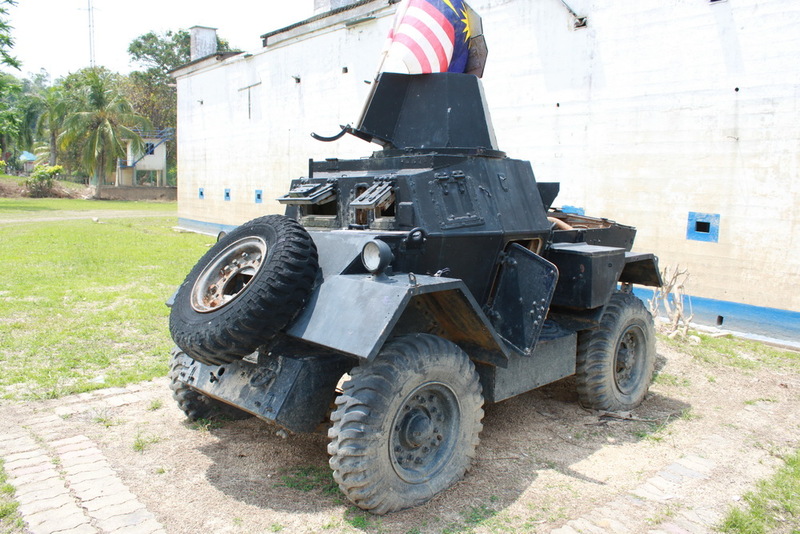 kereta berperisai beroda Cadillac Commando V150 buatan Amerika Syarikat. Model ini diguna secara intensif semasa perang Vietnam. Semasa Keadaan Darurat ke-dua (1968-1989), Malaysia mangadakan pembelian secara pukal. Negera kita kekal menjadi salah satu negera yang menpunyai kuantiti kenderaan tersebut yang terbesar di dunia sampai kini. 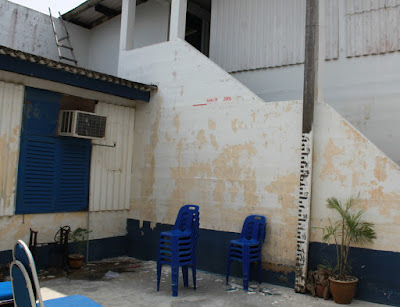 Gambar ini diambil diluar kubu balai pilis muzium Bukit Kepong. Pemandangan dalaman Cadillac Commando V150. Walaupun strukturnya masih kukul, kesan karat air boleh didapati di sebahagian kecil pemukaan. 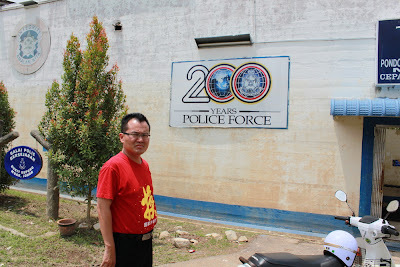 Ketika YB Er Teck Hwa melawat Balai Polis Muzium Bukit Kepong, bertepatan dengan ulang tahun PDRM 200 tahun. Bukit Aman mangarahkan balai polis tersebut mengecatkan seluruh dinding kubu supaya menutupi kesan banjir. Balai tersebut cuma mempunyai 5 orang pegawai bertugas. Dinding kubu masih tertinggal tanda taraf banjir semasa Bencara Johor pada tahun 2006. Lapangan terletak di tengah-tengah kubu merupakan tapak balai polis asal yang diserang dan dibakar oleh Komunis Melaya pada tahun 1950. 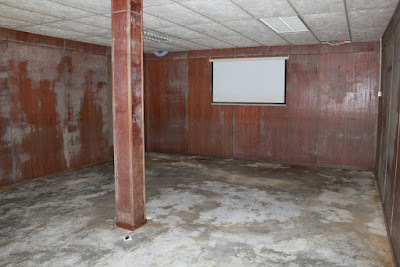 Bilik Mesyuarat muzium yang diserang oleh banjir. Sarjan Hizizi juga bertugas sebagai pemandu muzium. Beliau menunjukan kepada YB Er Teck Hwa keadaan dalaman muzium selepas bencana. 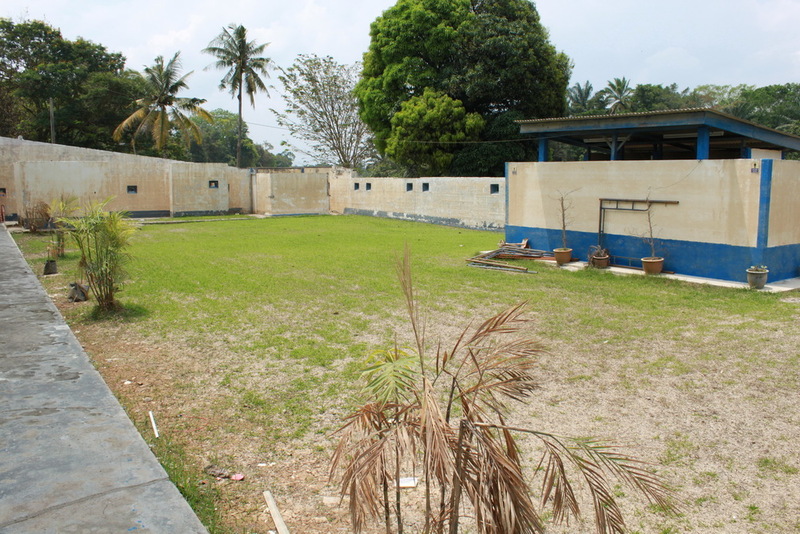 Pemandangan panorama Balai Polis Muzium Bukit Kepong. Kesan air tertinggal di dinding kubu menunjuk taraf air samasa Bencana Johor 2011. 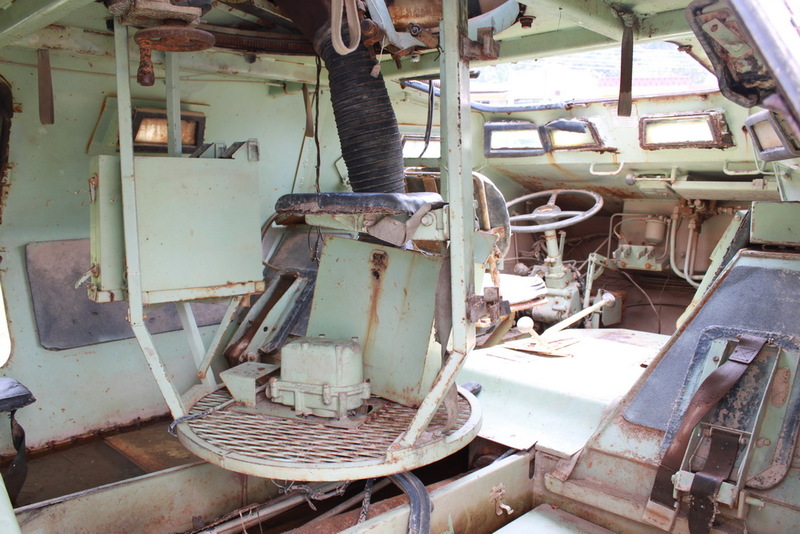 Daimler Dingo MKII vesi British Malaya jalang dijumpi. Ciri-ciri kenderaan tersebut adalah turet (turret) dengan reka bentuk poligon. Krew kenderaan boleh meninjau keadaaan luar secara komprehensif malalui bukaan diantara dinding turet. 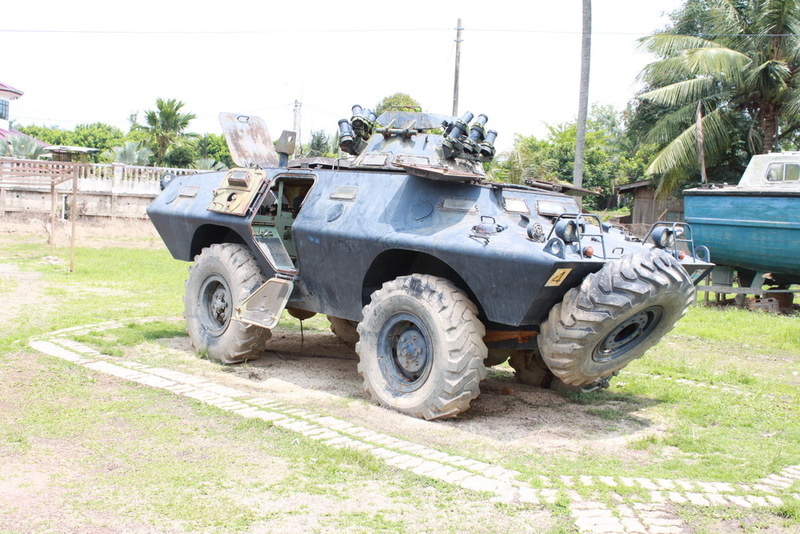 Pemandangan dalaman Daimler Dingo MKII yang terletak di depan Balai Polis Muzium Bukit Kepong. 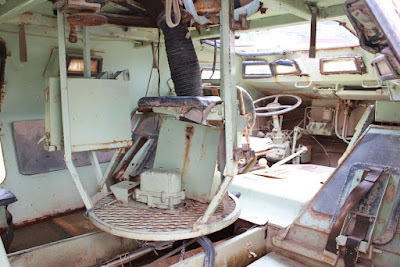 Struktur dalaman yang kalis karat, alat-alat telah disingkirkan, kusyen tempat duduk "gunner" telah hilang. 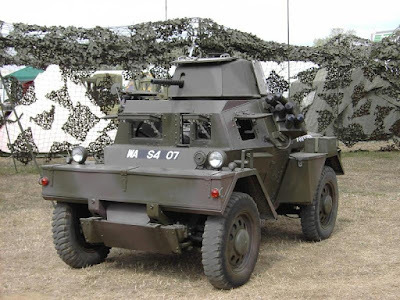 Mejelang Keadaan Darurat (Emergency Period) di Persekutuan Tanah Melayu (1948-1960), kendaraan peninjau (reconnaissance vehicle) berperisai ringan Daimler Dingo MKII yang diguna oleh tentera British Malaya. Gambar ini diambil due minggu selepas Bencana Johor 2011. Kenderaan berperisai ringan tersebut dilekatkan didepan Balai Polis Muzium Bukit Kepong. Kenderaan tersebut dibiarkan sepi tanpa perhatian. Tragedi Bukit Kepong bukan hanya sekadar membuktikan siapa benar atau siapa salah semata-mata. Peristiwa telah pun berlaku, sejarah telah merekodkan tragedy ini. 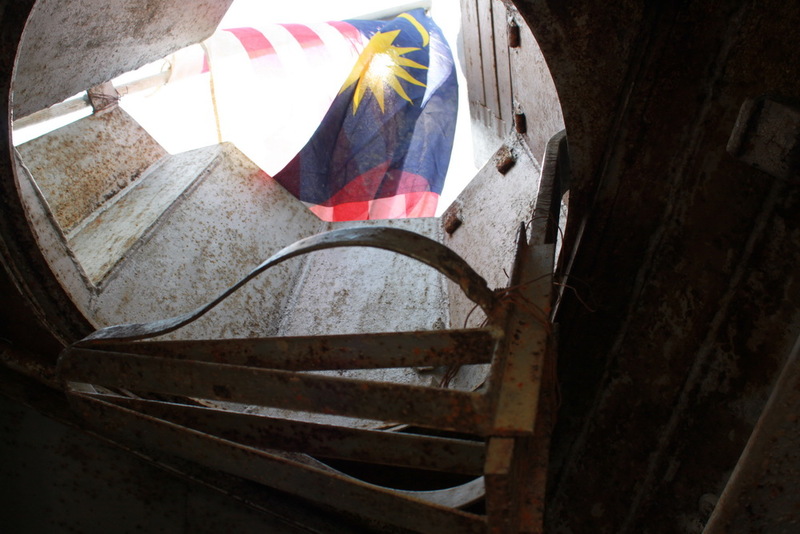 Lebih daripada itu, Bukit Kepong menuntut perhatian masyarakat betapa tapak warisan sejarah kemerdekaan Negara ini telah dibiarkan sepi dan terbiar tanpa perhatian sesiapa. Menyelusuri tapak Rumah Pasung Bukit Kepong tersebut kita akan dapat melihat warisan sejarah ini menjadi usang. Sejak dilanda tragedi Banjir Besar tahun 2006, tidak kelihatan tanda-tanda usaha pemuliharaan serius terhadap tapak warisan ini. Bahkan, terdapat perancangan untuk membaikpulih tapak warisan sejarah ini di dalam Rancangan Malaysia Ke-9 (RMK9). Tetapi, entah mengapa perancangan itu telah tidak menjadi kenyataan. Jawapan bertulis yang diberikan oleh pihak Timbalan Menteri adalah isu ini bukan dibawah tanggungjawab Kementerian Penerangan, Kebudayaan dan Komunikasi sebaliknya merupakan tanggungjawab Kementerian Dalam Negeri. Persoalan, adakah Jabatan Warisan Negara terletak dibawah Kementerian Dalam Negeri? Dimanakah keseriusan kita mempertahankan khazanah warisan sejarah Negara? Atau kita hanya menjadi jaguh retorik yang menjerit mengalunkan lagu perjuangan hanya untuk kepentingan politik sendiri sahaja? Cukuplah bersandiwara. Jangan jadikan nasib Balai Muzium ini seperti sebiji bola yang boleh ditendang kepada sesiapa sahaja. Tindakan pemuliharaan perlu dilakukan segera. 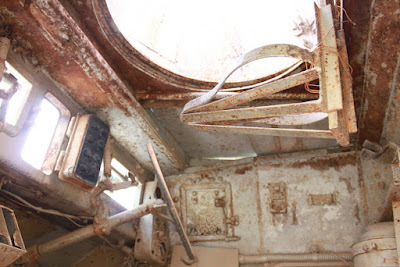 Jika di Eropah, kawasan-kawasan warisan Sejarah ini akan dipelihara dan dipulihara agar generasi akan datang dapat melihat sendiri monument atau bangunan bersejarah tersebut sama ada untuk membuat kajian ataupun sekadar menziarahi. Malahan, terdapat satu Istana di Cornwall (Tintagel Castle), United Kingdom yang dijaga rapi sebagai tapak warisan sejarah King Arthur walaupun kisah King Arthur ini masih menjadi perdebatan sama ada ia benar-benar berlaku ataupun lipur lara masyarakat. Di Malaysia, sebuah Negara yang telah mengecapi erti Kemerdekaan selama 54 tahun, aspek pemuliharaan monumen atau tapak bersejarah sering tidak mendapat tempat di hati Pemerintah. Tidak diangkat sebagai tapak warisan Negara. Contoh popular adalah kompleks Penjara Pudu yang telah menjadi mangsa kerakusan kapitalis tanpa pembelaan yang sewajarnya daripada pihak terbabit. Akhirnya kini, Penjara Pudu akan hanya tinggal dalam teks-teks sejarah sahaja. Pemerintah hari ini dan Kementerian Penerangan, Kebudayaan dan Komunikasi melalui Jabatan Warisan Negara perlu lebih serius dalam memulihara tapak bersejarah Bukit Kepong ini. Sangat menyedihkan dan malang sekali tatkala kita hebat berbahas di laman maya, di kedai kopi mengenai siapa benar atau siapa salah semasa tragedy Bukit Kepong tetapi monument dan segala khazanah bersejarah yang tersimpan di Balai Muzium Bukit Kepong tersebut terus terbiar tanpa pembelaan sewajarnya. Polemik dan perdebatan siapa benar dan siapa salah ini tidak akan berkesudahan, tetapi nasib Balai Muzium Bukit Kepong ini dan khazanah berharga Kemerdekaan Negara di dalamnya akan terus menjadi mangsa kealpaan dan sikap lalai kita. Andainya tiada usaha pemuliharaan tapak ini, kemungkinan satu masa nanti anak cucu kita akan hanya mengingati cerita Bukit Kepong melalui penulisan buku ataupun filem Jins Shamsudin sahaja. Dan apalah yang dapat anak cucu kita nanti untuk melakukan kajian sejarah terhadap peristiwa ini melainkan hanya melalui teks-teks dan gambar-gambar sahaja. Akhirnya, sejarah Negara tidak dapat diperkayakan, yang tidak bersalah tidak dapat diperjuangkan dan Negara kehilangan satu sumber kekayaan sejarah kebangkitan rakyat menentang penjajah Inggeris. Hayati petikan kata-kata ini “Bangsa yang tidak menghargai sejarah sendiri, ia tidak akan menjadi bangsa yang berjaya”. Adalah amat menggemparkan kita semua apabila dilaporkan bahawa Perdana Menteri Malaysia, Dato’ Seri Najib Tun Razak bercuti di Perth, Australia pada 31 Ogos iaitu Hari Kebangsaan Malaysia. Saya meminta PM untuk memberi penjelasan terhadap perkara ini, iaitu mengapa beliau memilih untuk bercuti di luar negara pada hari Merdeka di mana beliau sepatutnya berada di Malaysia untuk meraihkan hari yang bermakna ini. Selain itu, sepanjang cuti Hari Kebangsaan dan Hari Raya ini, berlaku peristiwa hitam di mana jurukamera Berita Nasional Malaysia (Bernama) Noramfaizul Mohd Nor, 39 tahun, terkena peluru liar di Somalia pada 2 September 2011 dan meninggal dunia apabila beliau sedang bertugas untuk membuat liputan terhadap bantuan kemanusian anjuran Kelab Putera 1Malaysia dan Badan Amal dan Kebajikan Tenaga Isteri-isteri Menteri (Bakti) ke negara yang bergolak itu. Seorang lagi pemberita TV3, iaitu Aji Saregar Mazlan pula cedera. Apa yang kesal ialah wakil kerajaan persekutuan yang pertama member komen terhadap perkara ini ialah Timbalan Perdana Menteri Tan Sri Muhyiddin Yassin yang masih berada di Malaysia semasa kejadian ini berlaku. Jejak PM menjadi misteri pada masa itu sehinggalah jenazah Allahyarham Noramfaizul Mohd Nor diterbangkan balik ke pengkalan Tentera Udara Diraja Malaysia (TUDM) di Subang pada 4 September, barulah rakyat Malaysia tahu daripada laporan media aliran utama bahawa PM memendekkan cutinya di Perth untuk pulang menghadiri solat jenazah di Masjid TUDM Subang. Alangkah sedihnya apabila Noramfaizul mati di perantauan atas nama “1Malaysia” manakala Bapa “1Malaysia” pula pandai menggunakan masa lapangnya untuk bercuti di luar negara semasa peristiwa hitam ini berlaku. Sebenarnya, Najib sebagai pemimpin utama kerajaan persekutuan hanya memilih untuk menggunakan media sosial bagi menyampaikan mesej Hari Kebangsaannya. Ini berbeza dengan para PM sebelum ini di mana mereka sama ada akan muncul di kaca televisyen untuk menyampaikan ucapan Hari Kebangsaan ataupun menghadiri acara-acara menyambut Hari Kebangsaan di ibu kota. Justeru itu, berita bahawa PM tiada di dalam negara pada Hari Kebangsaan tersebar luas. Jikalau ini benar, maka Najib telah mencipta satu lagi rekod dunia kerana saya percaya tiada satu pemimpin kerajaan di dunia ini yang memilih untuk bercuti di luar negara pada Hari Kebangsaannya. Ini barangkali kali yang pertama berlaku di Malaysia. Tepuk dada tanya selera. Saya meminta PM untuk menjelaskan perkara ini. Jangan pula beliau cuba mengelak daripada menjawab soalan ini. KUALA LUMPUR, 2 Sept: Selepas lebih 10 hari berlalu, isu akhbar Indonesia, Kompas, memohon maaf kepada Datuk Seri Najib Razak belum reda kerana permohonan itu tidak berlaku sebagaimana biasa. Ini kerana, menjadi amalan biasa akhbar yang memohon maaf akan menyiarkan penyataan minta maaf itu dalam bentuk penyataan atau iklan dan menarik balik berita yang dikatakan salah itu. Namun sehingga kini, ia tidak berlaku. Tidak ada penyataan permohonan maaf dalam bentuk iklan dan tidak ada penyataan menarik balik berita awal yang dikatakan salah itu dari Kompas. Antara lain, artikel itu mengaitkan Rosmah dengan pembelian kontroversi sebentuk cincin bernilai RM24 juta, dan mendakwa bakal besan Rosmah, Maira Nazarbayev, mempunyai hubungan dengan “mafia Rusia”. Maira Nazarbayev dari Kazakhstan adalah ibu kepada Daniyar Nazarbayev yang telah bertunang dengan Nooryana Najwa, anak gadis Najib dan Rosmah. Kompas juga dalam laporannya itu menyifatkan Rosmah sebagai menjalani “kehidupan yang penuh kontroversi”, dan mengaitkannya dengan Perimekar, syarikat yang dikatakan telah menerima komisen jutaan ringgit berikutan penjualan kapal selam Scorpene. Menurut penulis, perjanjian yang mencurigakan itu antara faktor yang membawa kepada pembunuhan wanita warga Mongolia Altantuya Shaariibuu pada tahun 2006. Bernama pada 21 Ogos lalu memaklumkan, Kompas telah memohon maaf dari Perdana Menteri. "Akhbar utama Indonesia, Kompas memohon maaf kepada Perdana Menteri, Datuk Seri Mohd Najib Tun Razak dan isteri, Datin Seri Rosmah Mansor atas laporan tidak tepat yang disiarkan. Permohonan maaf itu turut disusuli siaran laporan yang menafikan semua tuduhan terhadap Perdana Menteri dan isteri. Kompas, akhbar paling besar di Indonesia, hari ini menyiarkan laporan khas pasal Datuk Seri Najib. Malah dalam laporan ini pula, Kompas menyatakan permohonan maaf ke atas laporan yang disiarkan 4 Ogos lepas. Atas pemberitaan tersebut, pemimpin redaksi Kompas, Rikard Bangun, Sabtu 20 Ogos, di Jakarta secara khusus menyatakan permohonan maafnya kepada kepala negara dan keluarga. Dalam laporan itu pula Kompas menyatakan bahawa Datuk Seri Najib menafi ke atas laporan yang mengandungi tiga tuduhan. Antaranya isu pasal cincin berlian berharga ASD24 juta yang melibatkan isteri Perdana Menteri, Datin Seri Rosmah Mansor. Bagaimanapun, laporan yang tidak benar itu telah mengganggu dan berdampak luas di dalam negara. Ia pula dimanfaatkan oleh pihak-pihak tertentu di Malaysia." lapor Bernama. Menurut sumber Malaysiakini, permohonan maaf yang dituntut oleh Pejabat Perdana Menteri (PMO) pada mulanya ditolak oleh editor Kompas yang bertegas mempertahankan artikel mereka, khususnya berhubung dakwaan kegiatan kongsi gelap Maira, yang juga boleh dilayari secara meluas di Internet. Dua penasihat itu kemudiannya mengancam mengugut Kompas dengan tindakan undang-undang, tetapi ini juga gagal untuk menundukkan akhbar Indonesia yang berpengaruh itu. Kompas, bagaimanapun bersetuju membuka ruang kepada Najib untuk menjawap dan menangkis segala tuduhan dengan menghantar editor antarabangsa, Jimmy Harianto bagi menemubual Najib di Putrajaya pada Khamis lalu. Bagiamanapun pada Ahad lalu, agensi berita nasional Bernama mengesahkan bahawa Kompas telah meminta maaf kepada Najib. Setakat ini, mengapa Kompas membuat pusingan U pada saat-saat terakhir belum jelas tetapi menurut sumber, keputusan berkenaan telah dibuat dalam keadaan “situasi luar biasa”. Namun, bagi Malaysiakini, akhbar itu jelas tidak membuat permohonan maaf secara penuh – ia boleh diibaratkan sebagai ‘permohonan maaf separuh’. Malah, permohonan maaf itu diselitkan pada perenggan 10 di halaman 10 akhbar itu dalam laporan yang bertajuk ‘PM Najib Razak: Demokrasi Juga Terjadi di Malaysia’.